Making a living ranching or farming in the harsh desert lands of American southwest is demanding enough. But federal bureaucrats have managed to make it even harder by playing word games to stretch the limits of federal law beyond recognition. That’s the case for ranchers in Hidalgo County, New Mexico, where the U.S. Fish and Wildlife Service designated thousands of acres of land as “critical habitat” for the jaguar under the Endangered Species Act. According to the Fish and Wildlife Service, jaguars thrive in and prefer tropical forests. Tropical forests provide “primary” habitat, while the arid regions of Mexico, and small portions of New Mexico and Arizona provide only “marginal,” “secondary,” and “peripheral” habitat. Leave it to a bureaucrat to decide that “marginal” and “secondary” habitat can simultaneously be “critical” and “indispensable” habitat. It’s not only an abuse of the language—it’s also an abuse of authority. 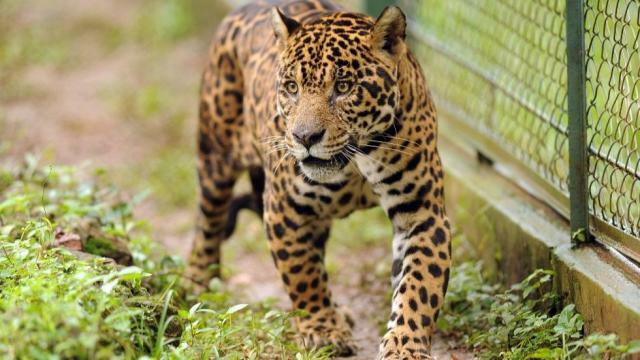 Owing to the species’ preference for tropical forests, the federal government anticipates that at best, the United States will be home to only a few jaguars, and none of them will breed. In contrast, experts currently estimate that around 64,000 jaguars roam the tropical forests of Central and South America. In other words, the key to conserving jaguars lies hundreds of miles south of the U.S. border. Yet, in an apparent effort to appease environmental groups, the Fish and Wildlife Service designated critical habitat in New Mexico and Arizona, claiming the arid, “marginal” habitat in the American Southwest is also “essential” to the conservation of the jaguar. Representing the rancher groups New Mexico Farm & Livestock Bureau, New Mexico Cattle Growers’ Association, and New Mexico Federal Lands Council, PLF filed a lawsuit challenging the designation of critical habitat as violating federal law. If the designation stands, these groups’ members will face expensive and time-consuming red tape when seeking to renew grazing permits or when making improvements on land within the area designated critical habitat. Because of the costs associated with the designation of critical habitat, the Endangered Species Act limits the types of land that qualify. The federal government can only designate land as critical habitat when the species “occupied” the land at the time the species was listed “endangered” or “threatened,” or when the land is “essential” to conservation of the species. In this case, the trial court recognized that there were no jaguars living in the United States when the species was listed as “endangered” in 1972. In fact, the evidence shows there were no jaguars in the U.S. between 1937 and 1996. But the trial court ultimately upheld the designation by deferring to the Fish and Wildlife Service’s decision that the unoccupied New Mexico habitat is “essential” to the jaguar. This week, we filed our appeal of that decision in the U.S. Court of Appeals for the Tenth Circuit. Our brief points to a recent Supreme Court decision in another PLF case, which held that critical habitat must be actual habitat and it must be “indispensable” to the conservation of a species. We also explain that the plain language of the Endangered Species Act and legislative history show that Congress intended an “extremely narrow definition” of critical habitat, in order to limit the type of land that can qualify for the burdensome label. Land of “marginal” and “peripheral” importance to the conservation of a species does not qualify as “essential” and “indispensable” to the conservation of that species. It is time for the Tenth Circuit put an end to these word games, and to remind federal bureaucrats that they too must follow the law as Congress wrote it.